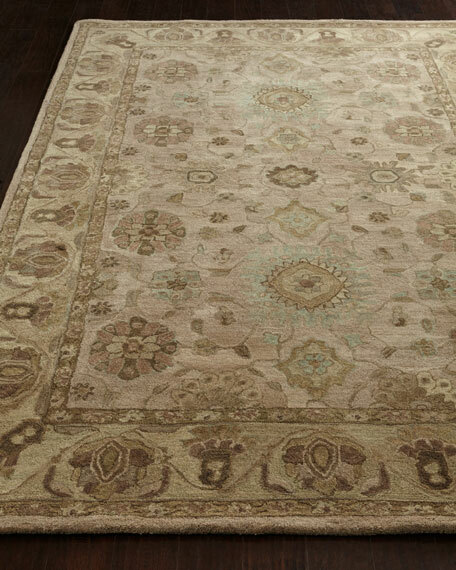 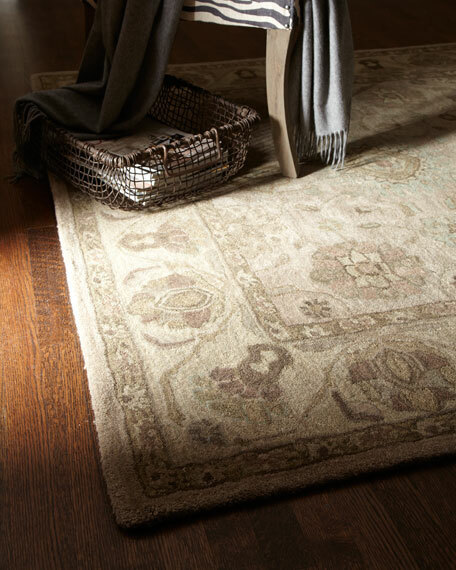 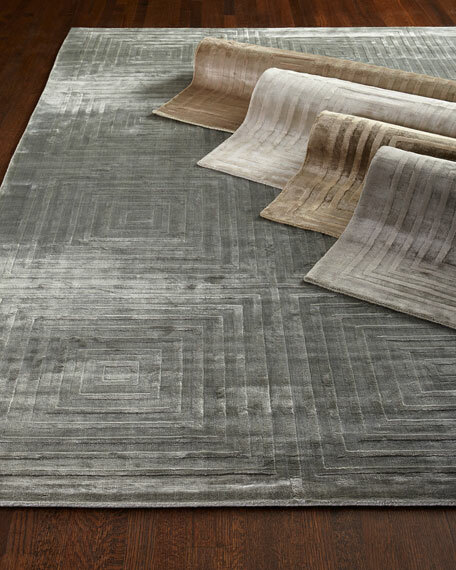 Traditional rug with the look and feel of 19th-century carpets. 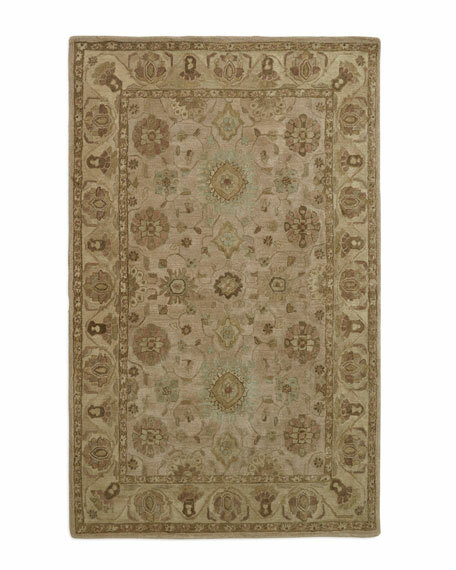 Cottage Cream Rug, 7'6" x 9'6"
Rug hand tufted of viscose/wool blend.Size is approximate.Imported. 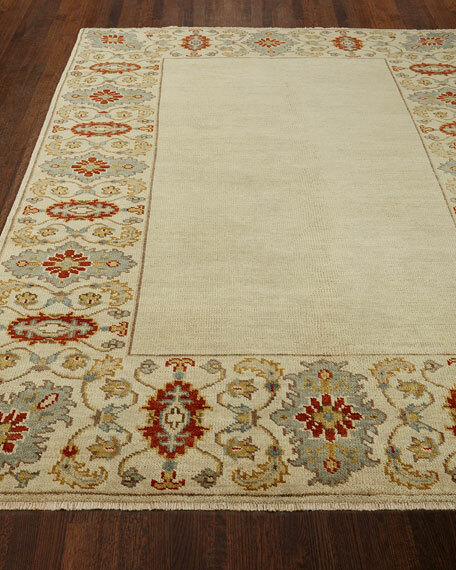 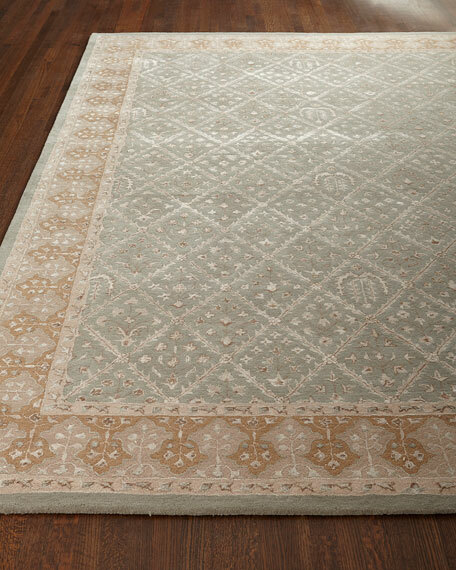 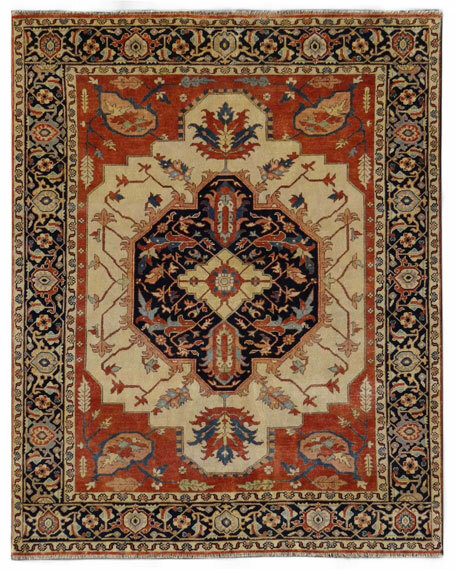 Handmade rug features Turkish-style weave.Hand knotted of wool.Size is approximate.Imported.